We are offering a wide range of White Marble Stand. - We can also Stone handicrafts in various sizes and specifications to fulfill individual customer requirements. - Each stone is unique in its character and properties and hence variation must be expected. - The given pictures are for reference only and the actual Stone handicrafts may vary in color, tone, marking and texture. Marble Hindu God Sculpture With Beautiful Handmade Painting. Giving a new look to the décor, we have our marble horse faces. Carved from white marble, these figures are used as decorative pieces in the living rooms. These marble horse faces come in various sizes as required by the clients. "We Are 100% Export Oriented Unit & Mainly Looking For Export Queries." Put these nicely crafted marble manastambh at the entrance door of your villa, office or garden and create a long lasting impact on the visitors. These guard statues are carved with painstaking attention to minutest details. 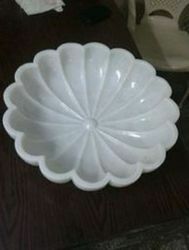 Fine Decorative Marble Flower Pot Available In Different Designs & Sizes. 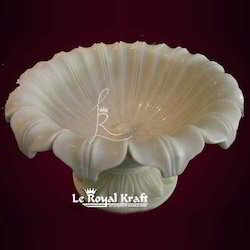 We are manufacturer of all kind marble handicraft statues. We are one of the leading companies engaged in offering a wide array of Marble Indoor Decoratives. Our highly skilled professionals designed these Marble Indoor Decoratives plates accordingly as per the requirements of the clients. We offer Marble Visiting Card Holder (with watch/clock) for corporate purposes. Work done on marble visiting card holder having time piece for embranding of company logo.